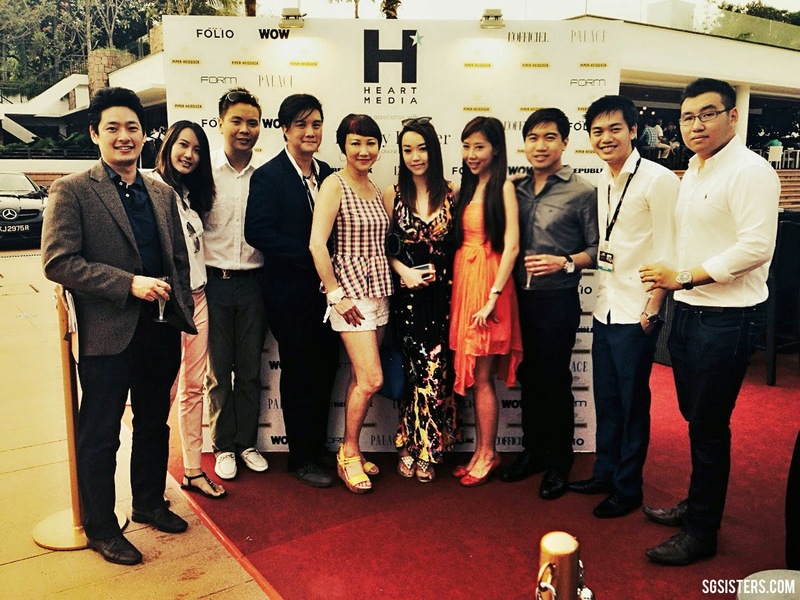 SINGAPORE YACHT SHOW 2014 - The much anticipated Yacht Event of the year has arrived in Singapore with bigger and more glamourous yachts displayed at One Degree Fifteen Marina Club from 10-13 April 2014 . With around 100 luxury boats and super yachts displayed, visitors are spoilt for choice to choose a boat to suit their own needs and lifestyle. Many are enticed to the idea of sailing away on the waters to a Paradise island for a short escape from the hustle and bustle of city living. The event boosts a spectacular display of luxury yachts with a total value of half a billion dollars. 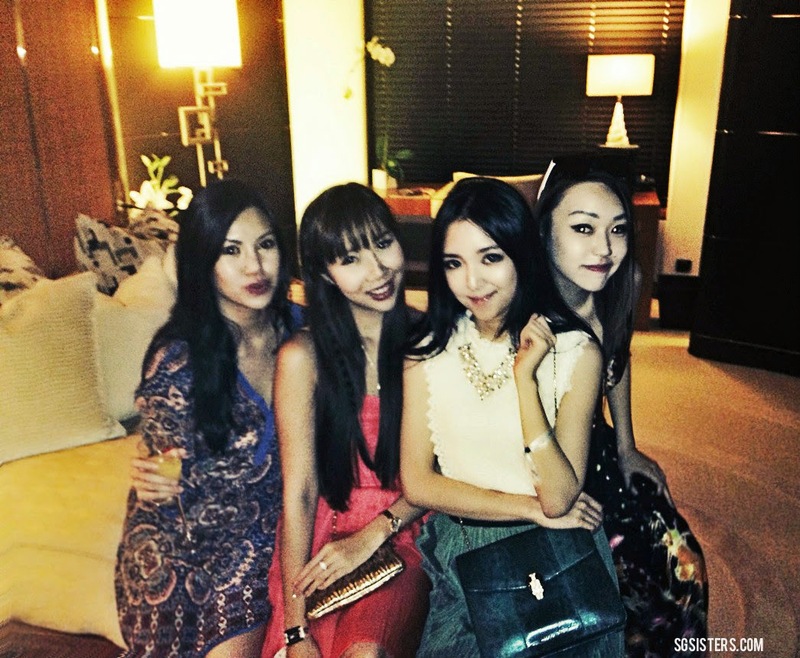 This exclusive event provides an opportunity for the elite and ultra rich around Asia and international visitors to marvel over the most beautiful yachts available in the World. After all, Singapore has been ranked the as the Number 1 "Most Expensive City to live in the World" according to the Economist Intelligence Unit and WealthInsight ranked Singapore as the 3rd in the World for the "most number of resident multi-millionaires". Singapore has been a catalyst of growth to the increasing number of people seeking the luxurious lifestyle of traveling on waters between different destinations and arriving at a new place for breakfast. Having a beautiful yacht is part of a luxury lifestyle that appeals to everyone. Owning a private yacht confers a level of exclusive, privacy, mobility and freedom of choice especially among wealthy Asians. On a personal note, I love traveling on Private Yachts as the feeling of sailing on waters with the wind blowing against my face was indeed a very relaxing feeling. I enjoy the idea of being whisked away to a secluded island to enjoy the peaceful and tranquility ambience to allow my mind to relax. HEART MEDIA - A big thank you to Nick from Heart Media for the VIP Invitation. We were thankful for parking our cars right in front of the whole exhibition main tent, instead of parking at One Degree Fifteen Marina Club Car park. 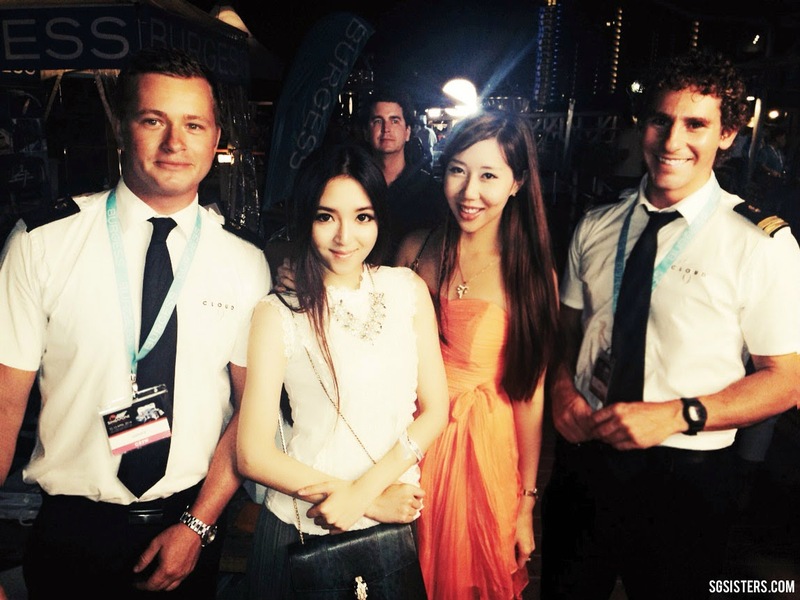 Talk about arriving at the Singapore Yacht Show 2014 in VIP style *winks- Many VIP Guests were treated to free flow of champagne and canapes. 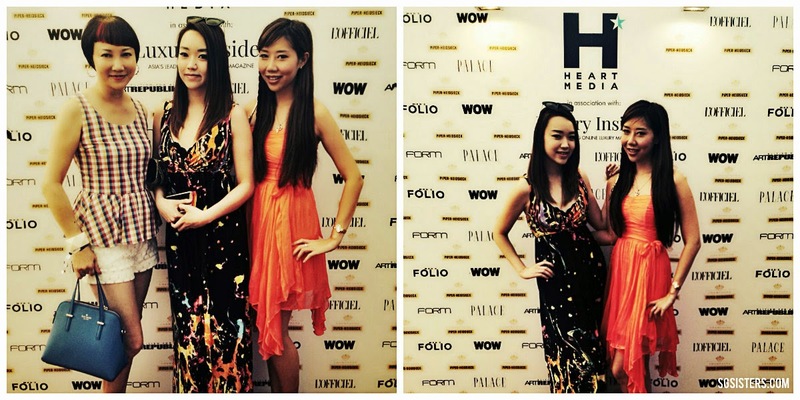 Heart Media publishes market leading magazines which include L'Officiel, Men's Folio, Palace, WOW etc. 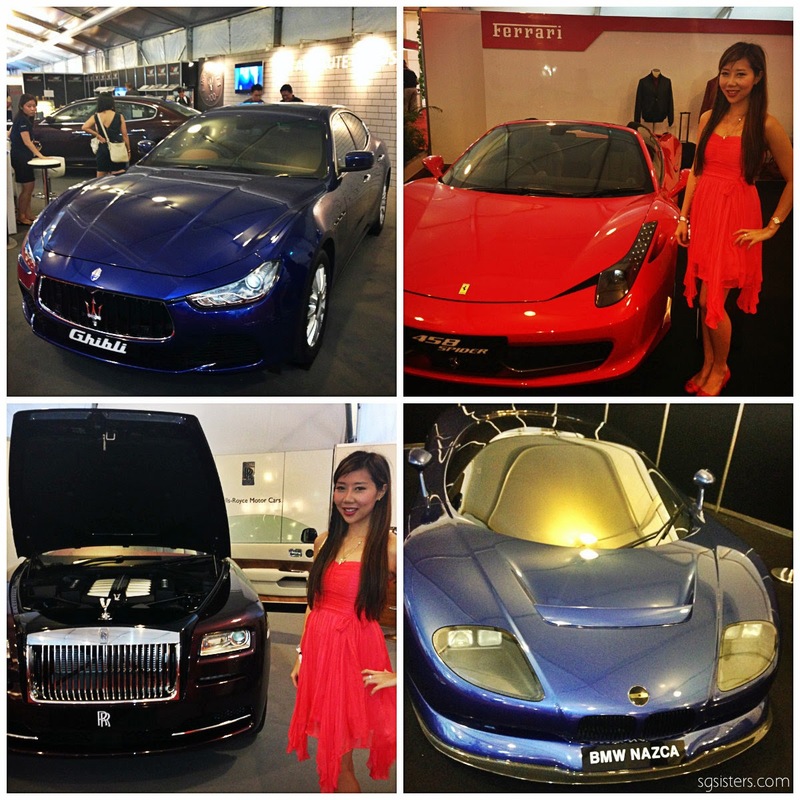 Besides the display of luxury boats and yachts, visitors were also enthralled by the proud displays of Luxury and Exotic Cars such as the Aston Martin, Ferrari, Maserati, Rolls Royce, BMW etc. Special highlights of the Singapore Yacht Show 2014 include the 50 metres Explorer M/Y "Exuma" and the luxurious 60 metres Superyacht "Cloud 9" which costs USD$55 million. Other famous vessles include the sleek "Silver Bullet" by Chris Craft from the Hollywood movie "Twilight-Breaking Dawn" and the striking 67 metres S/Y "Vertigo". 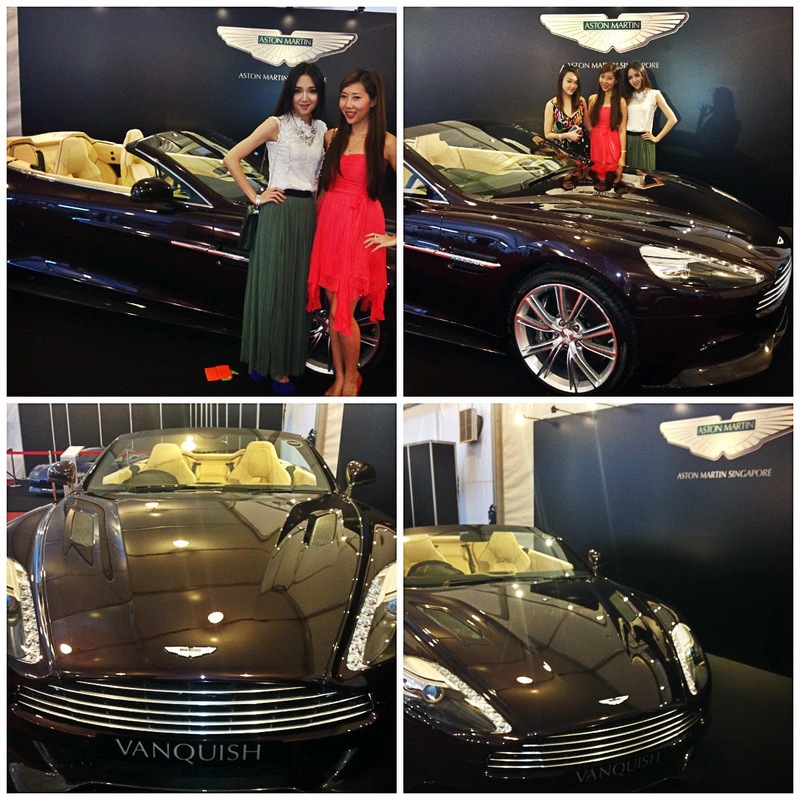 As promised, the Singapore Yacht Show 2014 was an excellent event for adventure seekers and sailing enthusiasts. Entry Tickets are selling to the public at $50/day and $80 for a multi-day pass. It is an event not to be missed! 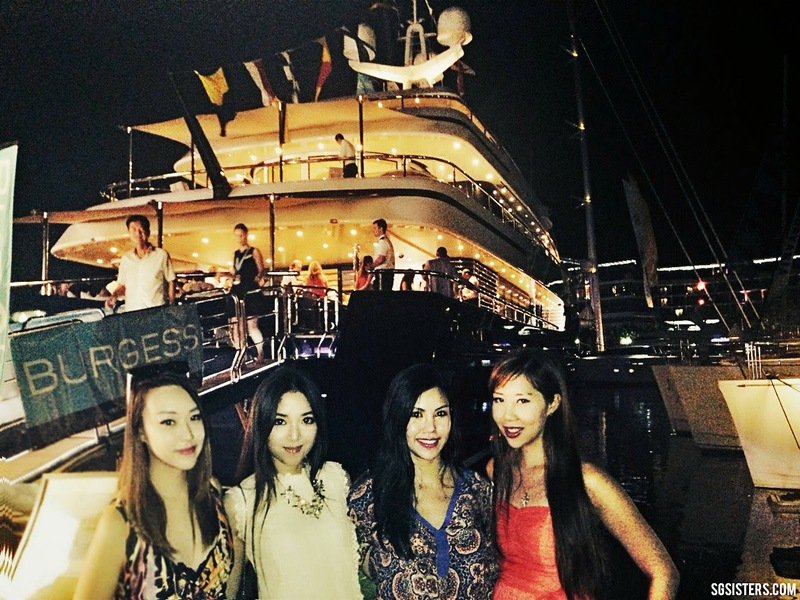 Read more about Singapore's 2014 Yacht Event at One Degree Fifteen Sentosa (USD$55 Million Yacht): Click Here. 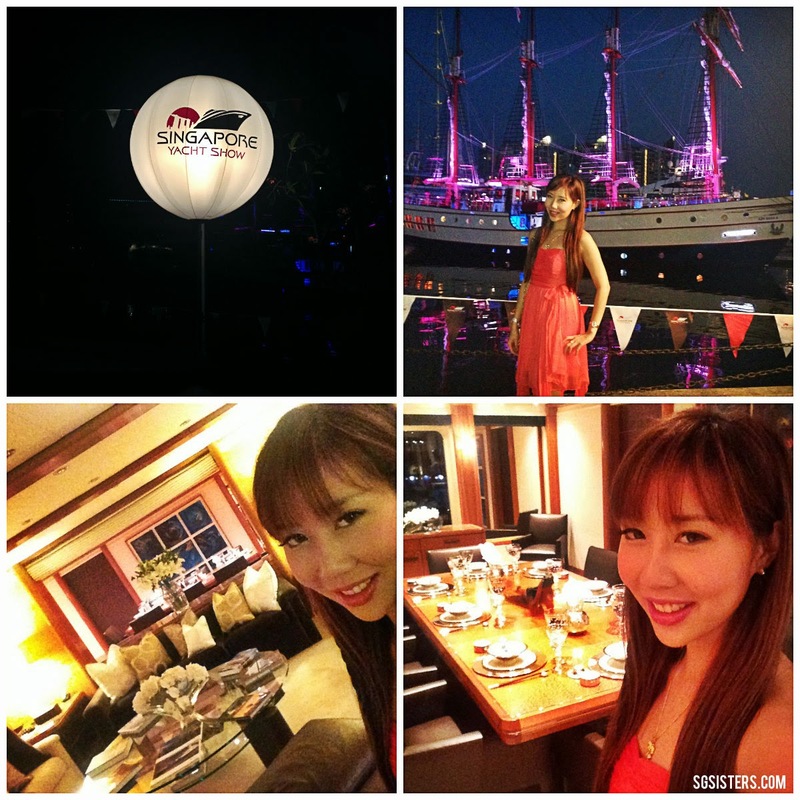 Read more about Singapore's 2013 Yacht Event at One Degree Fifteen Sentosa: Click Here. 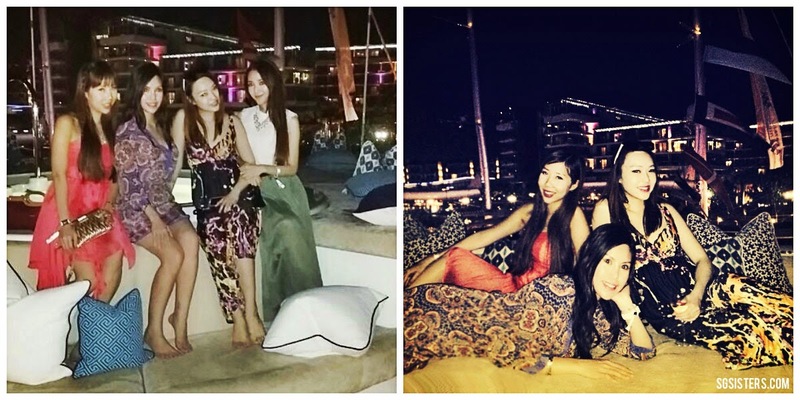 Read more about Sara Shantelle's Yacht Party with Sins Chocolate & Ba Ba Black Sheep Owners: Click Here. Read more about Lora Christelle's Rolex Sydney Hobart Yacht Race on Boxing Day: Click Here. 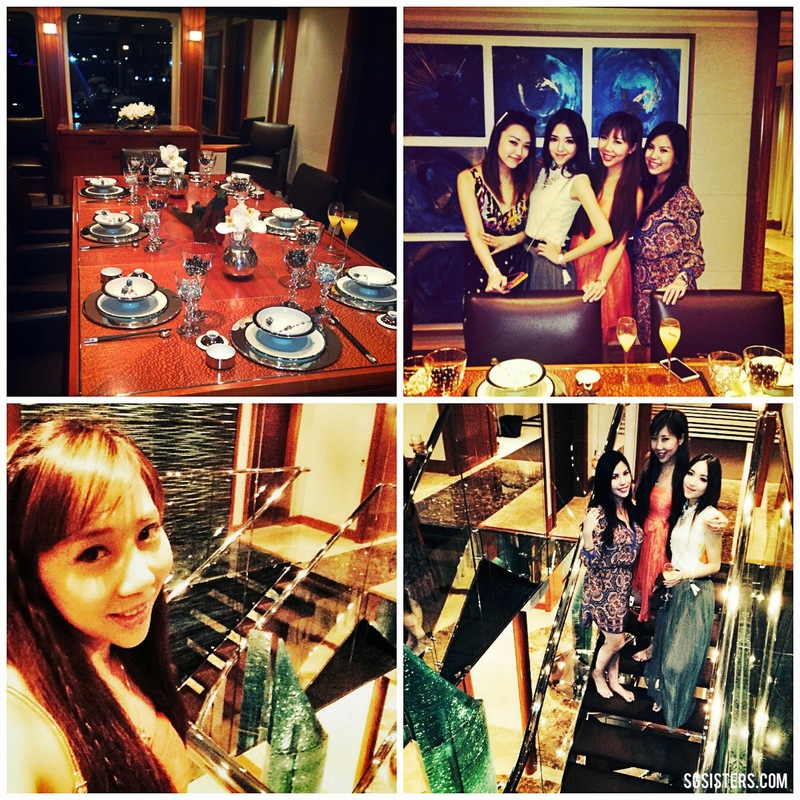 Read about Matahari Super Yacht (USD$6.5Million Yacht) & Mouawad Jewelry Showcare: Click Here.